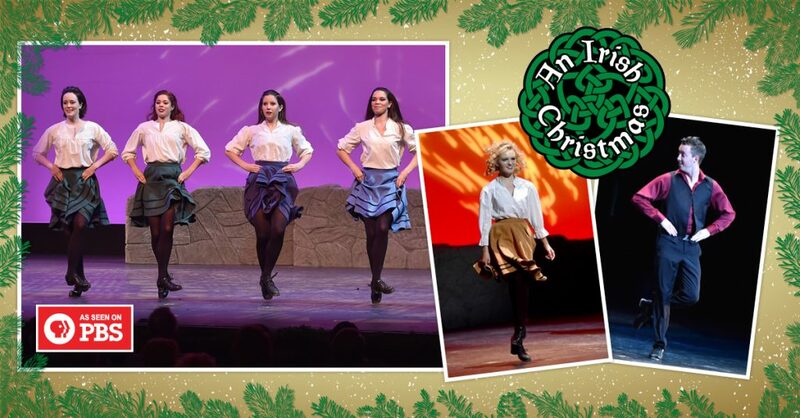 An Irish Christmas – w/Ticket Promotion! Buy three tickets, get the 4th one free! All ages welcome. An Irish Christmas, features an award-winning cast of Irish dancers led by Caterina Coyne (Principal dancer, Riverdance) and Connor Reider (Principal dancer Celtic Fyre, St. Patrick’s Day in Ireland, The Chieftains), as well as members of the Kerry Dance Troupe, The Kerry Voice Squad and the Kerry Traditional Orchestra in a memorable night that sparkles with the charm and magic that only this festive time of year can bring. Celebrate the great tradition of butter making, chase the wren on St. Stephen’s Day, draw down the half door for spectacular dance, enjoy superb music-making and singing of Christmas carols in an unforgettable Irish night! Songs spinning out of the mists and into the familiar Silent Night, Twelve Days of Christmas and Carol of the Bells, and superb music of the pipes, flutes, fiddles, and bodhráns is just the beginning of this great Irish night! Not to be Missed! Ireland at its best!